Nesting of Herons was noticeable in the Harchies Marches: the two first pairs of Cattle Egret, five pairs of Little Egret and two pairs of Night-heron. On this site record numbers are reached for Cetti's Warbler (118 territories) and Sedge Warbler (82 territories). Other outstanding nestings are noticed for Little Bittern, Garganey, Oystercatcher, Yellow Wagtail and the three Harriers. Among the latters an increasing number of Northern Harriers and the more and more frequent nesting of Marsh Harriers. On the other hand, the scarceness of the Corn Crake, the continuous decrease of the Fieldfare and the Whinchat, the low numbers of Turtle Doves and of most seed-eating birds must be pointed out. Concerning migration the most striking events are successively the stay of a Horned Grebe from 31 May to 30 June, a new rush of Eurasian Griffons in June (73 birds spread over 6 groups from 7th to 23th), numerous Lesser Black-backed Gulls from mid-June and among them at least two Baltic Gulls, the short stay in Marche-en-Famenne of a River Warbler (28 June - 2 July) and of a Bonelli's Warbler (28 June), a Lesser Grey Shrike on 20 July (first mention since 1988), a migratory Roller on 21 Augustus, and numerous Dotterels passing in Augustus (record number of 58 the 22th). First regional mention of a Buff-breasted Sandpiper. 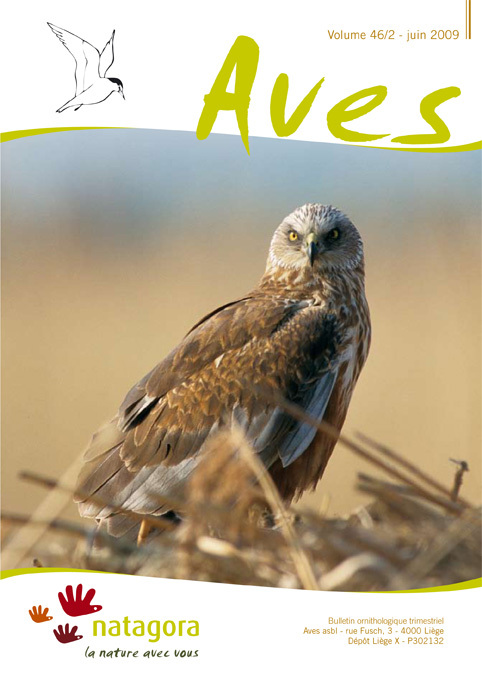 Summering of Marsh Harriers (Circus aeruginosus), Northern Harriers (Circus cyaneus) and Montagu's Harriers (Circus pygargus) in agricultural plains of Wallonia: first estimates. The Swift (Apus apus) in the North Liege district: quantitative changes (1993-95 to 2006) and situation of the nests.